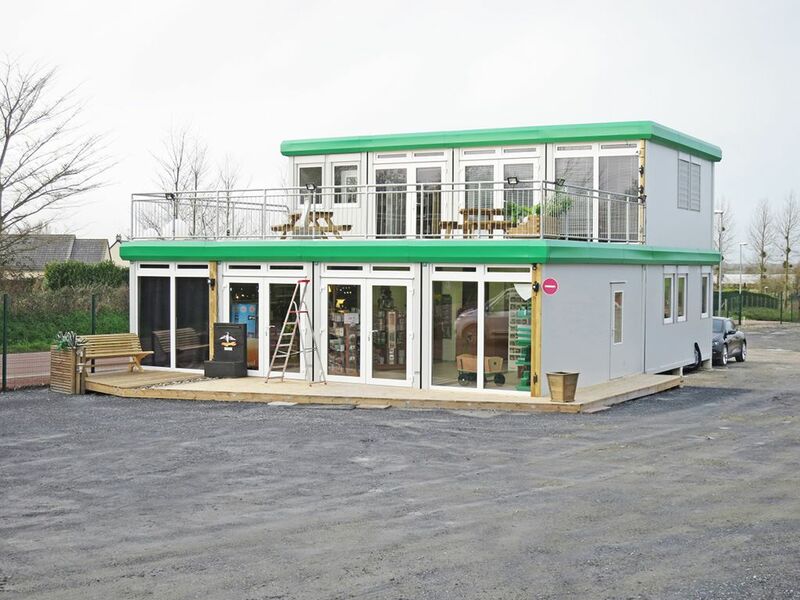 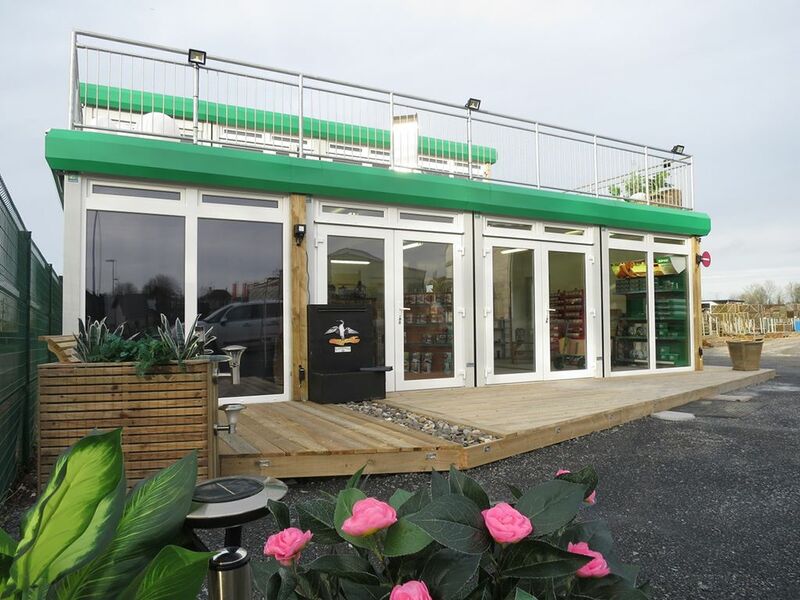 This modular office building, covering more than 170 m², serves as a mobile sales office for the "Le Cormoran Bois" garden furniture retailer in Cherbourg. 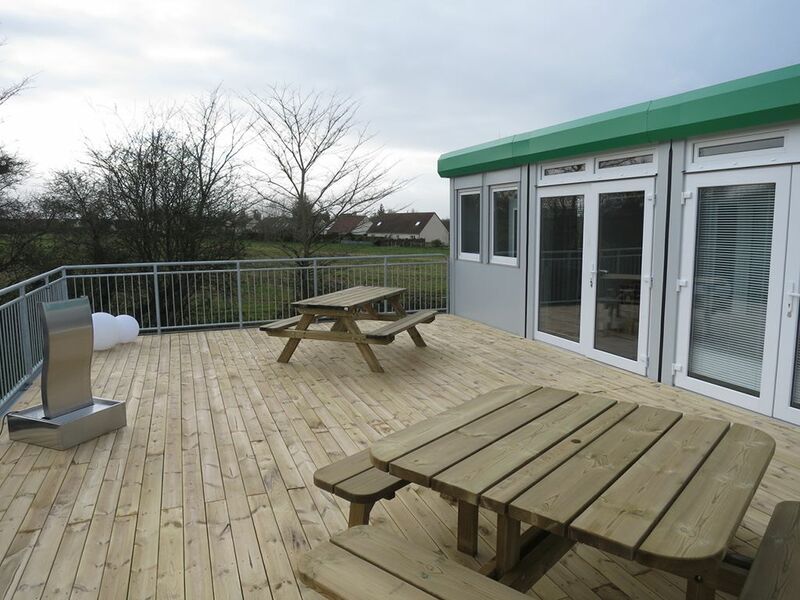 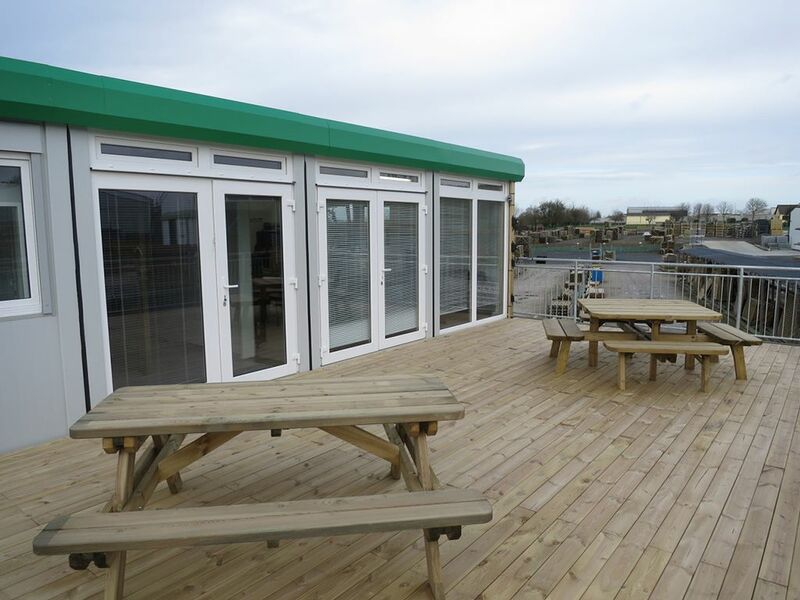 The highlight of this modular building is the large terrace on which the wooden furniture is displayed. 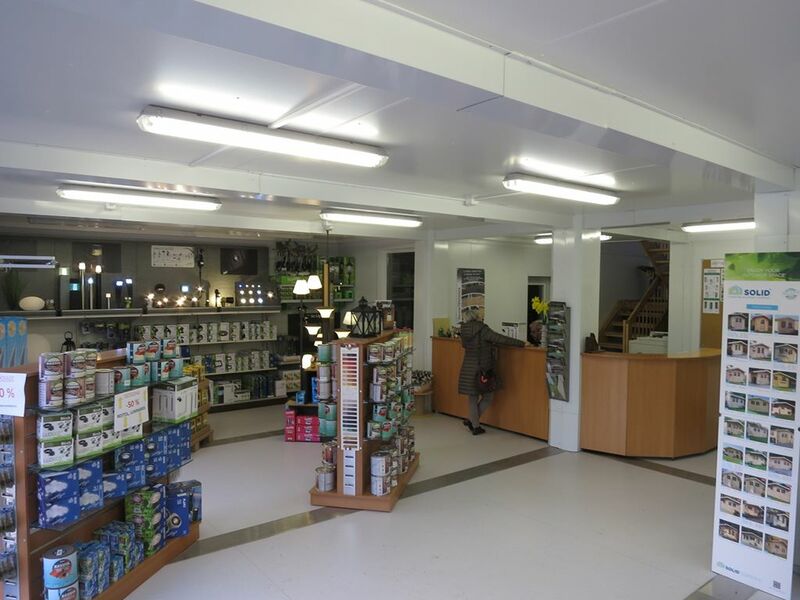 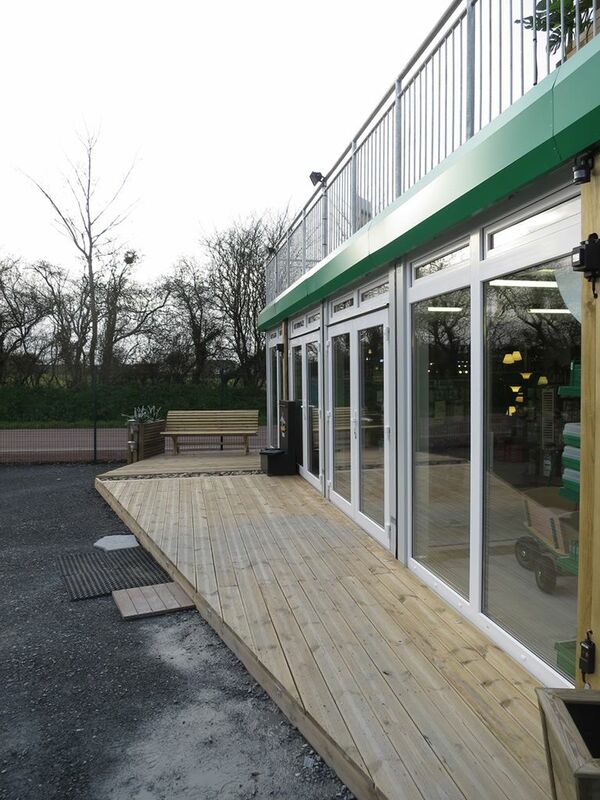 The large glass front lets a lot of natural light into the modular structure and invites customers into the shop.